customer’s mind in online shopping. Images are central to online shopping. When a customer first lands on the web-page the first thing they want to know is how does the product look. If they like what they see, they might decide to browse some more information about the same before they actually hit the purchase button. Product images create the first impression in the minds of the buyer. Images are intangible in online shopping which means that the buyer cannot touch, feel or try the product. The only way they can interact with the product is through the photos displayed in the listing. Therefore it is important that images are sharp, clear and of high quality. It is simply not enough to click a photo with your camera and post it online. Online Shopping platforms like Amazon, eBay, Google Shopping all have their own set of guidelines for images like background, size, dimension etc. After all, they want their users to experience the best of online shopping. Online business owners world over rely heavily on image editing and retouching techniques so as to modify images to enhance customer satisfaction and comply with portal’s requirement. Hiring the right talent to take care of this requirement can be both expensive and time-consuming. Therefore outsourcing product image editing services to the right service provider is the best bet! At AceeComm Services we have professional image editors offering product image editing services who have requisite skill and expertise of working with commercial images. Our professional image editors have years of experience working with different ecommerce verticals namely consumer durables, clothing and accessories, appliances, electronics, furniture etc. They are adept at fine-tuning images using various techniques to give your images the perfect life-like appeal. We can also handle poor quality images to make them platform-ready with the help of advanced photo editing software and technique. 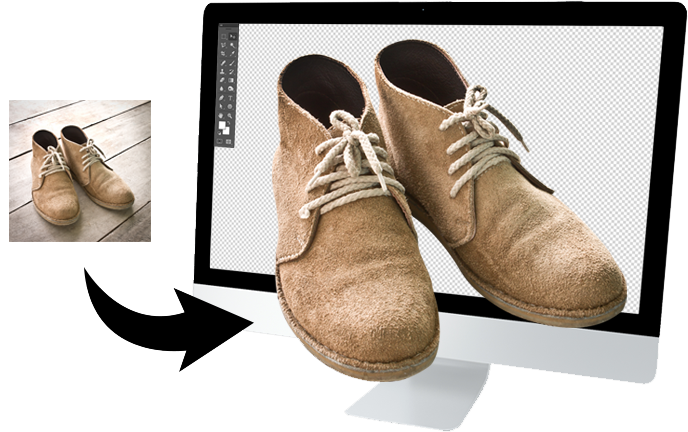 Our image editors can add, remove or edit backgrounds to enhance the appearance of images. Whether you need images with white, dark backgrounds or just adjust the color a bit, our experts will work as per your requirement to give you the desired output. Our experts use advanced retouching techniques to remove unwanted spots, blemishes, adjust lightness and brightness to produce a clear, crisp image. Images are the only way for shoppers to interact with the product and therefore they want the image to be as close to reality as possible. Our professional image editors adjust the color balance, contrast, background, lightness, tone etc to make the image come to life. Our editors use advanced image masking techniques like such as layer masking, transparency masking, alpha channel masking, translucency masking so that your product images look like actual products and not just images! Shadow effects are an excellent technique to make an image look more real. They lend more depth to an otherwise flat image. These give buyers the impression that they are looking a real object sitting on a surface rather than just an image. You need not shoot all color variants of your products. Our editors take care of it for you displaying multiple variations of a product. Our editors are capable of handling large quantities of images. They can resize bulk quantities via batch files which saves a lot of time. Don’t worry about using mannequins and models to depict the fit and style of the image. It is expensive and very time consuming to shoot them. Our Image editors make it easy for your by creating invisible mannequins so as to show the fit, style etc of the apparels.